Fusion Beauty® has truly mastered the art of innovation, by continuing to fuse breakthrough discoveries in dermatology, cosmetics and biological sciences to create smart, safe, high performance products. The entire line of Fusion Beauty Products is available online or call us to speak with a live esthetician and place an order. Fusion Beauty® has truly mastered the art of innovation, by continuing to fuse breakthrough discoveries in dermatology, cosmetics and biological sciences to create smart, safe, high performance products. The entire line of Fusion Beauty Products is available online or call us to speak with a live esthetician and place an order. Skin Care by Alana, based in Orange County, CA, is one of Fusion Beauty biggest retailers, resulting from years of selling skincare products across the US and to local spa customers. If you need skincare tips or advice regarding any Fusion Beauty products, call us 7 days a week and speak with a live skincare artist or esthetician. 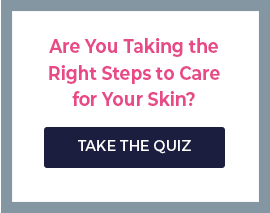 We want to improve your skin’s health, and we want to increase your knowledge of how to care for it.